The connectivity sector is on the brink of a major sensation now, with 5G internet speeds – and processors with capabilities to support the networks – not very far off. A couple of months back, the concept of Li-Fi ,which implies transmitting internet via light rays hit mainstream media, and at MWC 2016, a company called pureLiFi took the covers off the first Li-Fi dongle in the world, the LiFi-X. 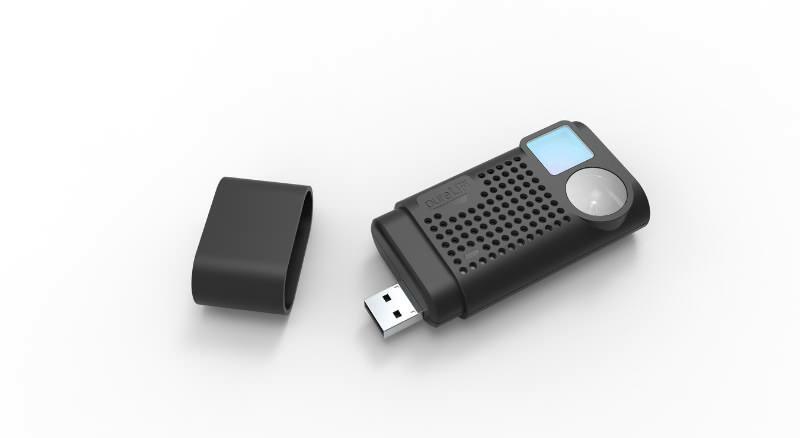 The dongle is based on the application of light based communication to transmit data. Li-Fi itself is a 5G based technology which would open up new avenues for faster connectivity, particularly for the Internet of Things. The transmission rates are 100 times higher than conventional rates today, with the immediate scope of application being mobile devices and smart home appliances. The LiFi-X dongle is the third generation of Li-Fi based devices. Crafted in a business-card sized package, the LiFi-X can be operated from any USB 2.0 enabled mobile device, and has an access point which can connect to a light source such as an LED. The dongle can be used with tablets and other mobile devices, and the company states that many tech companies are engaging directly with it for Li-Fi based applications. Li-Fi would bring about radical changes in internet connectivity, and pureLiFi evidently has big plans to develop large scale pilots and implement Light as a Service (LaaS) models for a Li-Fi connected world.